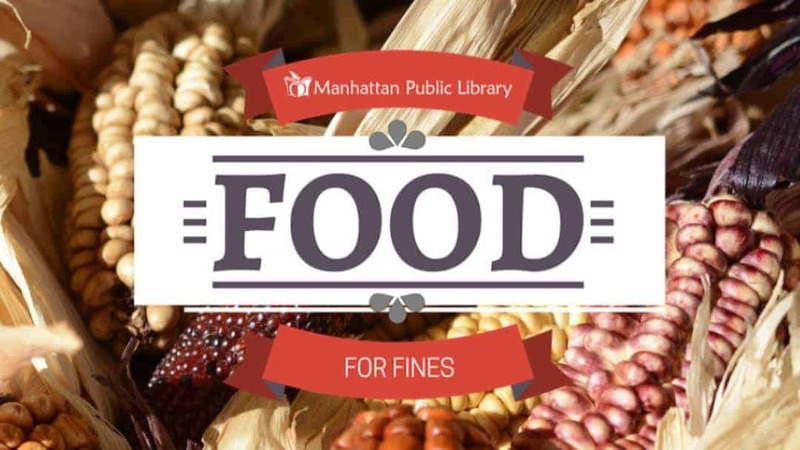 From 10:00 a.m. to 5:00 p.m. on Saturday, December 2, everyone who brings a non-perishable food item to the Manhattan Public Library will receive a $1 voucher to pay library fines. Vouchers will be good throughout the month of December, with a maximum of 10 vouchers per person. All of the donated food will be given to the Flint Hills Bread Basket to help combat food insecurity in Manhattan. 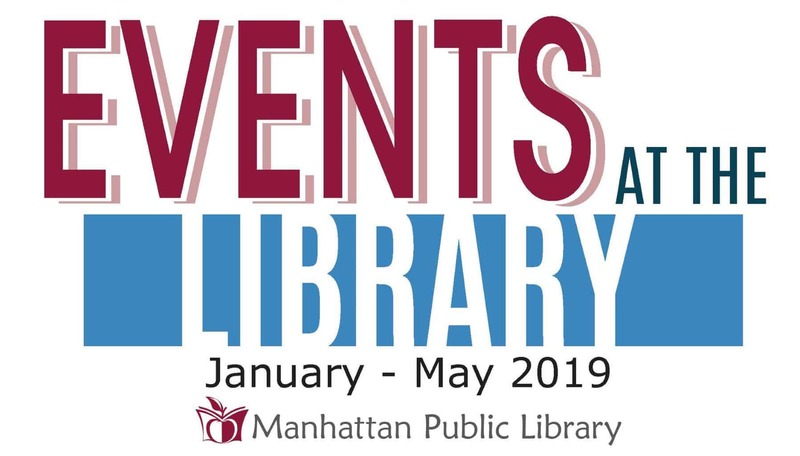 Volunteers from the Manhattan Library Association will be in the library’s atrium to accept donations and issue vouchers. For more information, please contact the Manhattan Public Library at 629 Poyntz Avenue, (785) 776-4741 ext. 100, or www.MHKLibrary.org. The Flint Hills Breadbasket is located at 905 Yuma Street. It was founded in 1983 as a Community Food Network to collect and distribute food to those in need. Their food pantry is open Monday – Thursday from 1:00 to 3:30 p.m. and Fridays from 1:00 to 3:00 p.m. to distribute food. To see the complete schedule for the Breadbasket, visit www.breadbasket.manhattanks.org or call (785) 537-0730. We are celebrating the state library’s 13th annual Kansas Reads to Preschoolers week, November 12-18. Storytimes this week will feature the one-book/one-state selection for young children, The Napping House by Audrey Wood with illustrations by Don Wood. This beloved book first published in 1984 has delighted children for many years. It is a silly cumulative tale of a snoring granny, who is joined by a dreaming child, a dozing dog, and so on until the pile reaches far above the bed. The tiniest critter on top starts the ruckus that wakes everyone in reverse, and naptime is over. Children who attend one of the library’s nine storytimes during this week will receive a free copy of The Napping House. Kansas Reads to Preschoolers highlights the state’s commitment to increasing reading readiness and on-grade reading while promoting reading, literacy and libraries. Help us celebrate by reading to a child this week! Photography is so important in modern society, that there are thousands of books on the subject. While we can all admit that it’s not necessarily the camera that takes a good picture, you may be tempted to invest in expensive equipment as the first step to improve your photographs. However, you would be wise to invest time and effort in mastering photography technique before making that purchase. These are a few books which I’ve found useful and inspiring, and have helped me become a better photographer. 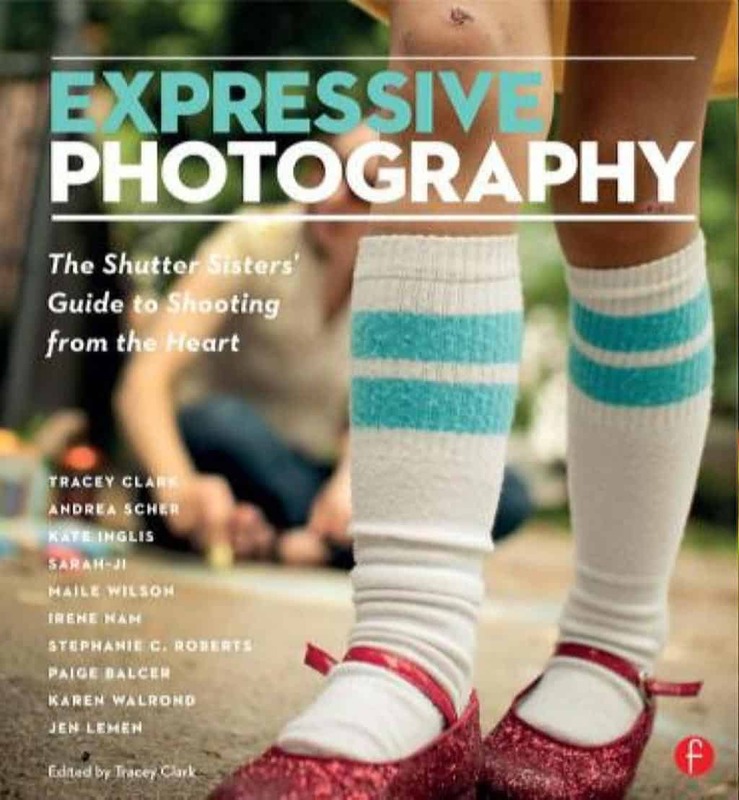 Expressive Photography: The Shutter Sisters’ Guide to Shooting from the Heart is full of gorgeous images with explanations of their elements. Learn about composition, find basic techniques for capturing beautiful shots, and enjoy a wealth of photo examples. One great point the authors offer is to “imagine what the world might look like through the eyes of your subject.” For instance you might lie down in the grass to capture a photo of your puppy and create a story instead of a routine snapshot. After flipping through these pages, you will start noticing new things. One day, you will see the quality of light coming through the window and usher your children outside to capture a few special moments. It will feel wonderful and you will be rewarded with incredible images. The authors also provide ideas to overcome common problems. For example, if you are trying to capture a picture but the background is unattractive, try shooting from below the subject and using the sky as a backdrop instead. Also, one trick to making your photos more interesting is to move in extra close and capture small details the casual observer might have missed. The information in Expressive Photography would be helpful for any photographer, no matter the level of experience. One of the main things I liked about this book: the photos take up more space than the text so you don’t have to wade through too much information to find useful points. Another fantastic book, with more photos than text, is Capture the Moment by Sarah Wilkerson. This is billed as “the modern photographer’s guide to finding beauty in everyday life.” After reading it I felt the urge to slow down and take a second look at the simple objects around me. One photo featured an abandoned bowl of noodles, to illustrate the chaotic fun of a youngster eating pasta. It’s an object which I would never have thought to photograph, but the photo carried emotion and told a funny story. While the book has advice for beginners, such as, “turn off the lights, disable the flash, and pose your subject by a window,” I believe the practical and artistic advice would be useful even for a seasoned professional. Be intentional in your approach, she says, and challenge your vision for the shot. Why not try photographing the edges of life? How about obscuring critical elements of the photo to create tension? Wilkerson also provides creativity exercises to develop your sense of composition. The section of black and white photography is very helpful and serves to scratch the surface of this complicated form. If you would like to delve a little deeper into black and white photography, a new book by Harold Davis, The Photographer’s Black and White Handbook, will give you the tools you need. This text is geared toward the serious amateur who wants to take their work to the next level. 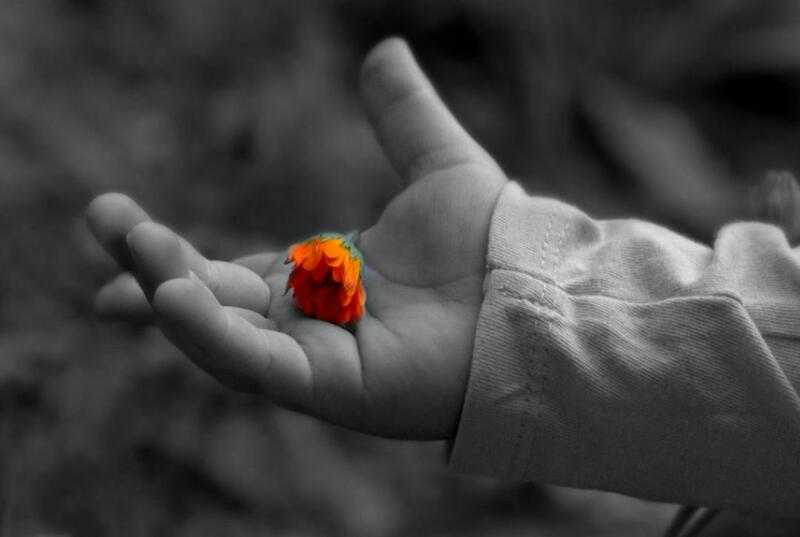 Without the “distraction” of color, principles of composition become even more important. Davis talks about “making the best use of internal and external boundaries, acknowledging and working with the underlying shape in the image; and constructing and depicting exciting and dynamic forms.” These are classic design principles and will help you transition from taking snapshots to creating art, no matter what type of photography interests you. The next part of the process is working with software to alter the original image. Davis will step you through Photoshop to learn split-toning, selective and soft focus, and tinting a photograph, but actually learning Photoshop might take a little more than the advice he presents in his book. Photoshop can be a daunting program. As the industry standard for photo editing, it’s what all of the pro’s use. It enables you to do everything from refining your photos to putting a gorilla head on your best friend’s body. It contains all of the tools you need to make almost any visual creation, but it takes some time to learn. If you are new to Photoshop and would like to jump into the deep end, the library now has a Creation Station in the Tech Center computer lab. This station is equipped with the entire Adobe Creative Suite and has dual, high-quality monitors. You can watch tutorials from lynda.com on one screen and follow along with the practice files on the second. This is a great tool for anyone who wants to learn Photoshop, Illustrator, InDesign, Premiere, or any of the other fabulous programs offered by Adobe. It’s also a wonderful tool for professionals working on a project. The Creation Station, as well as the lynda.com tutorials, are available for use at no charge. Visit the library at 629 Poyntz Avenue to check out any of the books mentioned above or to begin experimenting with the Creation Station. In addition to the nine storytime sessions held at the Manhattan Public Library each week, a Sensory Storytime has been developed to benefit those children who are less comfortable in larger groups. Sensory Storytimes are limited to 12 participants creating a calmer atmosphere for children ages 10 and under who are on the autism spectrum or are sensitive to sensory overload. Jennifer Bergen, Youth Services Manager, describes the Sensory Storytime as an option for children to engage in reading activities where librarians will use preschool-level books, appropriate songs and movements. Both evening and morning sessions are available. Please register by using the links below or by contacting the library at (785) 776-4741 ext. 400. Additional sessions will be offered in the spring of 2018. A long time ago in a galaxy far, far away… Manhattan Public Library hosted Star Wars Reads Day! Visit the library on Saturday, October 7 from 10:00 AM to noon for games, trivia, and activities for all ages. Then at noon, gather in the auditorium for a movie screening. Crafts and activities will include trivia, Jedi training with bubbles, and a cosplay panel discussion. Costumes are encouraged and participants are invited to join the cosplay/costume parade which will take place at 11:15 AM. Door prizes will be awarded to several lucky attendees! You must be present at the time of the drawing to win. At 12:00 PM, enjoy a movie screening on the auditorium’s recently updated audio visual system courtesy of Capital Federal Savings Bank and Reddi Systems. Star Wars Reads Day was started in 2012 by Lucasfilm and its publishing partners as a way to highlight the vast number of books written about Star Wars, its characters, and its universe. Last year, there were over 2,000 schools, bookstores, and (of course) libraries that marked the day with read-a-thons, movie showings, and creative activities that feature the beloved sci-fi series and its characters. Read magazines online or download the Flipster App to enjoy the content offline. Library staff can assist you if you have questions and the resources below can help you get started. Hoopla is a groudbreaking digital media service offered by Manhattan Public Library that allows you to borrow movies, music, audiobooks, ebooks, graphic novels, and TV shows to enjoy on your computer, tablet, phone – and even your TV. With no waiting, titles can be streamed immediately or downloaded for offline enjoyment later. More than 500,000 titles are available, with more added daily. You will even find same-day releases available to borrow. You can stream titles instantly through your desktop browser or the hoopla mobile app. The mobile app will allow you to download titles to your device for use offline. 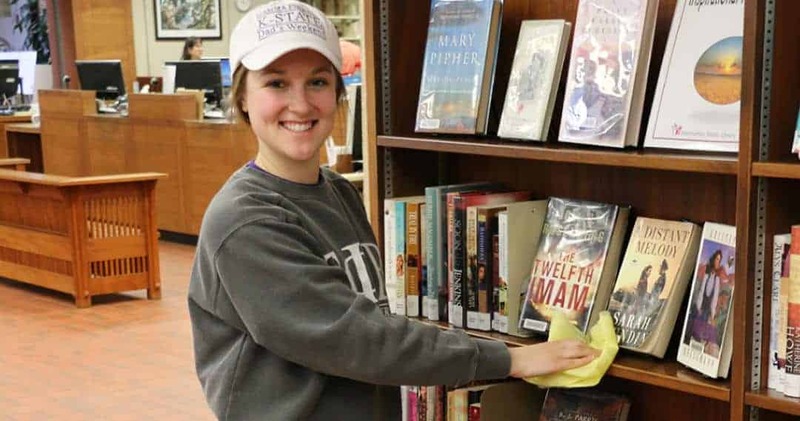 Each library cardholder may borrow five titles per month. At the end of the borrowing period, the title will no longer be available. There are never any late fees or charges for this service. The first time you visit hoopla, you will be asked to create an account. All of the 500,000+ titles are available immediately with no waiting and no holds. Anything you check out is returned automatically at the end of the borrowing period. To make sure kids don’t have access to adult materials, simply toggle the Kids Mode switch under the settings menu of the App. Each library card can access five titles per calendar month. The library is charged per checkout, so the limit ensures that everyone can use the service, not just a few enthusiastic borrowers. People with blocked cards will not be able to check out items on hoopla until the block is removed. When the borrowing period is over, items will no longer be accessible on your device. If you have not yet reached the five item limit, you can check out the item again. All of the downloaded content is available offline using the Hoopla App, but you have to select “download” while connected to the Internet. To find downloaded content, click on the app and you will be directed to the “my titles” portion. Listen, read, or watch from there even when you’re not connected to the Internet. Files are not “saved” in the traditional way. The app is the only way to access the downloaded content. Manhattan Public Library now offers a Creation Station where people can retouch photographs, edit movies, design logos, and use all of the software programs available from the Adobe Creative Cloud. 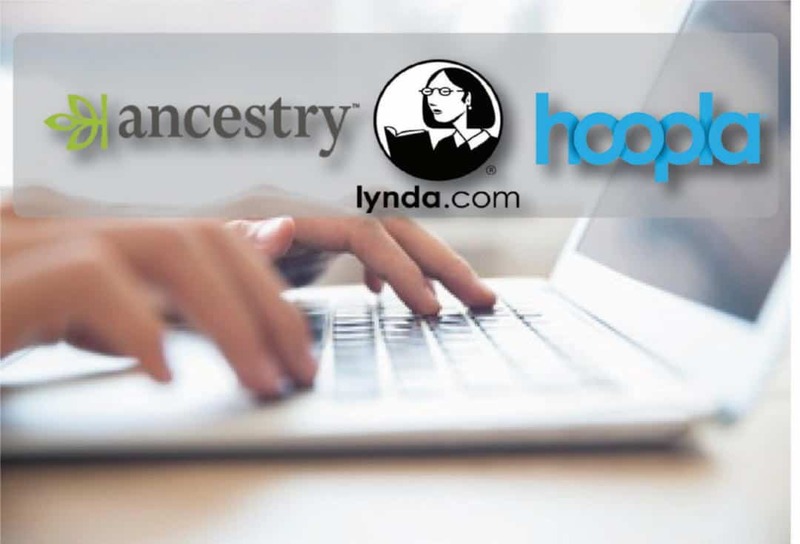 Training programs to learn the software are also available at the workstation, by logging on to lynda.com, which is another service provided for free through Manhattan Public Library. People who wish to use the equipment should bring an external storage device such as a flash drive or portable hard drive to save their work. 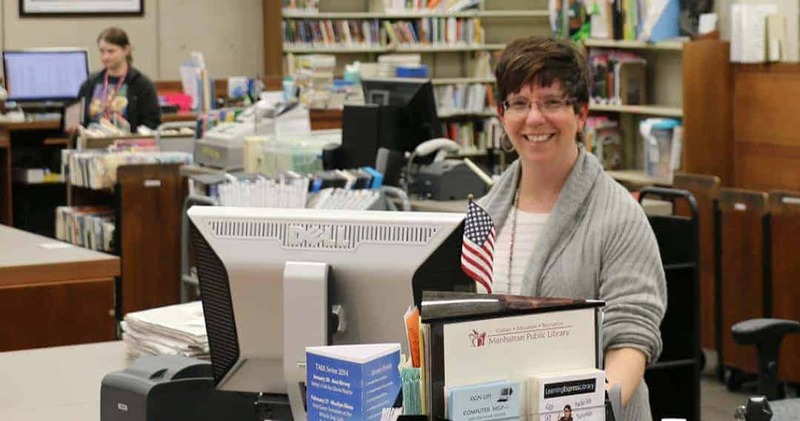 No library card is required to access the equipment, but anyone who would like to sign up for a card can do so at no cost by visiting the library’s check out desk or by filling out this online form. Library patrons now have access to software tools for learning about and creating digital design projects. The workstation has two monitors and headphones, allowing a user to have Lynda.com tutorials running on a second screen while they follow along in the actual program on the main screen, sometimes using practice files provided by Lynda.com. Staff have also made it easy for you to plug in your own device since you will, as with all of the library’s public workstations, need to provide your own data storage. It will not be possible to save any work on the library’s computer. Sign up in person at the Technology Center desk when you arrive. This workstation is available by reservation only and sessions are limited to four hours in length. Please don’t hesitate to contact the library at (785) 776-4741 ext. 500. Animated, talking picture books, which teach kids the joy of reading in a format they’ll love. TumbleBooks are created by taking existing picture books, adding animation, sound, music, and narration to produce an electronic picture book which kids can read, or have read to them online. Videos and chapter books in categories which include: ebooks, read-alongs, graphic novels, videos (from National Geographic! ), and audiobooks. Over 400 titles! eBooks, enhanced novels, graphic novels, and audiobooks. Streaming audio books with no need to dowload, just click and listen. Note: The TumbleBook Collection are created in Flash and require the Flash plug-in to view and hear the animation. The majority of computers and operating systems are already preloaded with Flash, but if you are unable to view the books you can download the Flash plug-in for free at https://get.adobe.com/flashplayer/?no_redirect.